Alive In Africa: Amazing life change for only $26 dollars. 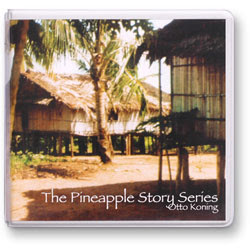 My friend Calin Popa sent me a 12 CD sermon series called the Pineapple Story. Wow, talk about life changing... I wouldn't recommend this if I didn't covet this for everyone to listen to... It cost $26 dollars but it will reap riches to come... This amazing story teller is funny, touching, convicting, and encouraging... He talks about surrendering your rights to God which is the story of the Pineapples. It is worth it just for that. Than I just finished one on rejoicing. You have to buy this!!! It will change your life!!! It is great for the whole family. Kamryn and Bradyn like it... Here is the link!! Let me know if you take me up on this!!! Anything I can get for $26 that will change my life I buy! It's in the mail. Anything Steve Allen recommends we listen to!